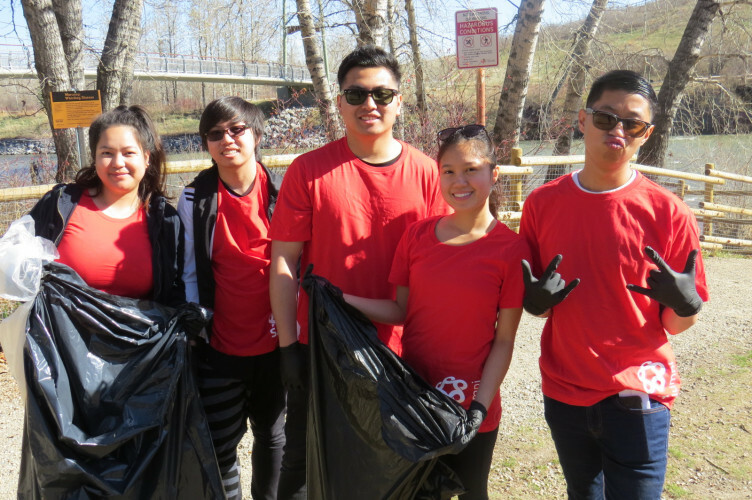 Join the SAIT Alumni Squad as we do our part to clean up the city’s pathways and river banks during the 52nd Annual City of Calgary Pathway and River Cleanup on May 5. The City of Calgary Pathway and River Cleanup is an annual event held on the first Sunday in May. During the cleanup, thousands of registered volunteers help remove litter in Calgary’s parks and along our city’s pathways and river banks. Volunteers must be a minimum of 12 years of age; all volunteers 12-16 years must be accompanied by an adult at all times. Please dress for the weather as we will be outside for the duration (sunscreen, hats, coats). Close-toed shoes are preferred – safety first. Refreshments will be provided to SAIT alumni and guests; we encourage you to bring a reusable coffee mug and water bottle to this event. Participants will need to complete an additional City of Calgary waiver upon check-in at the event. Registration closes Thursday, May 2, 2019 (Registration will close earlier if the maximum numbers have been met).